All my life I have been terrified of dentists. It’s slightly unfair on the dentists themselves, because it’s not really them I’m afraid of so much as the anaesthetist who worked with my dentist. When I was a child, my milk teeth were rather settled and in no hurry to fall out – only about two of them actually fell out by themselves. All the rest (and four of my permanent teeth) had to be removed by the dentist, which meant being put to sleep, which meant the horrible anaesthetist rubbing my arm vigorously for about 5 minutes to try to get my veins visible (a problem that persists now and makes blood tests a rather long and brutal brutal process) before jabbing me. Consequently whenever I think of going to the dentist, I think of the trauma and pain involved. So despite being plagued by sensitive teeth for the last few weeks, I suffered in grim silence with no intention of facing the dreaded dentist. But things came to a head this week when I could no longer enjoy drinking my beloved tea, so I have finally faced my fear (with a good deal of panicking, naturally) and had my first filling, and am still fairly astonished to have survived the experience. 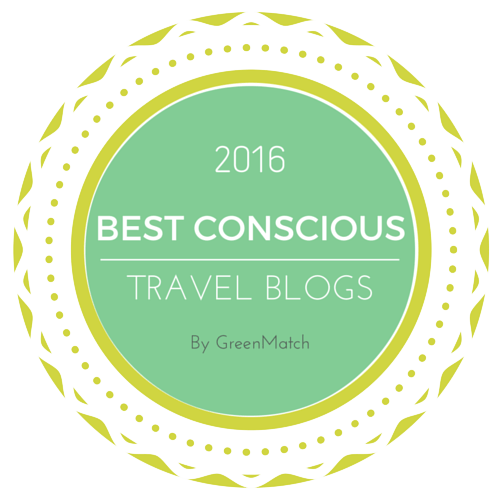 Now I am once again one of the tea drinkers of the world – rejoice! While I was suffering I was very careful about serving my food and drink neither too hot nor too cold, in which case this cheese and spring onion slice is a good choice. It’s best served at room temperature, and is a good choice for a picnic or buffet, sliced up as thin or thick as you like. I used Gruyere cheese, because I’m crazy about it, but it works just as well with cheddar or Red Leicester as well. 1. Heat oven to 220C. 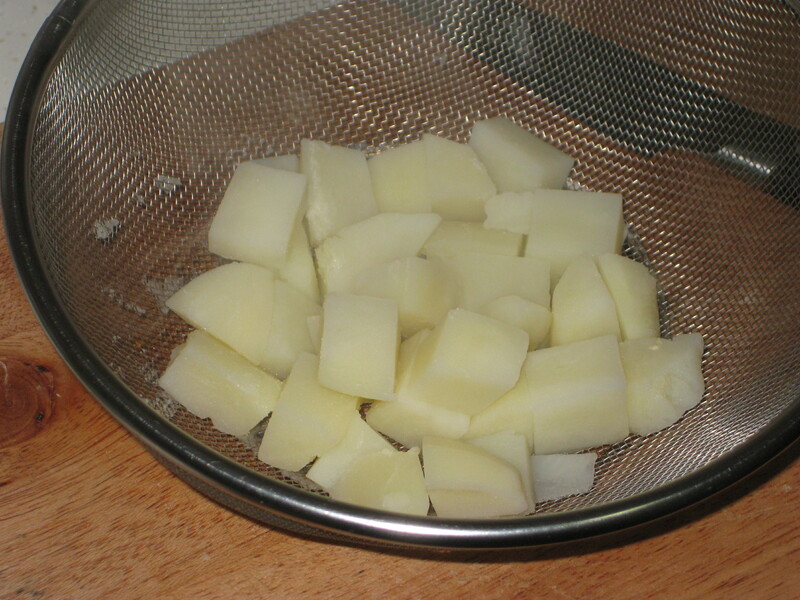 Boil the potatoes until tender, then drain well and smash slightly. Leave aside to cool a little. 2. 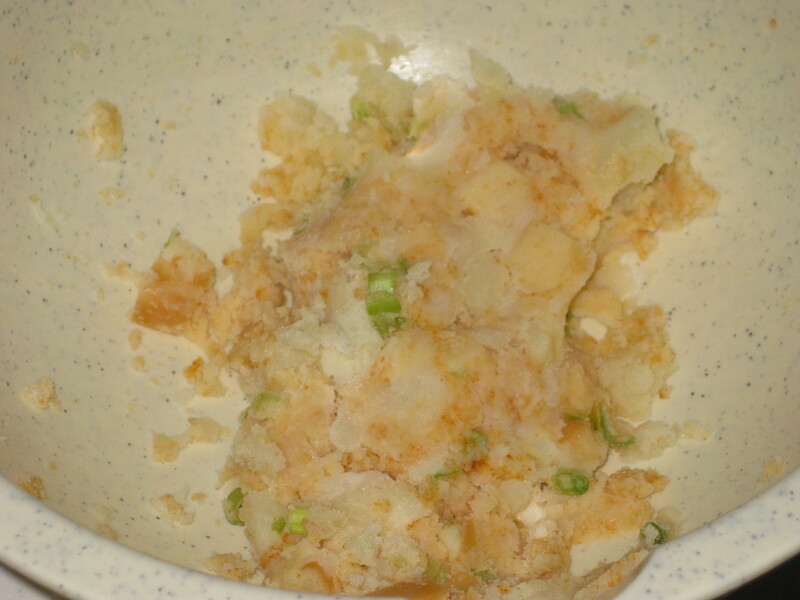 Mix the cheese, cayenne and spring onions with the cooled potato until it becomes mouldable – I use my hands. Chill for at least 30 minutes. 3. 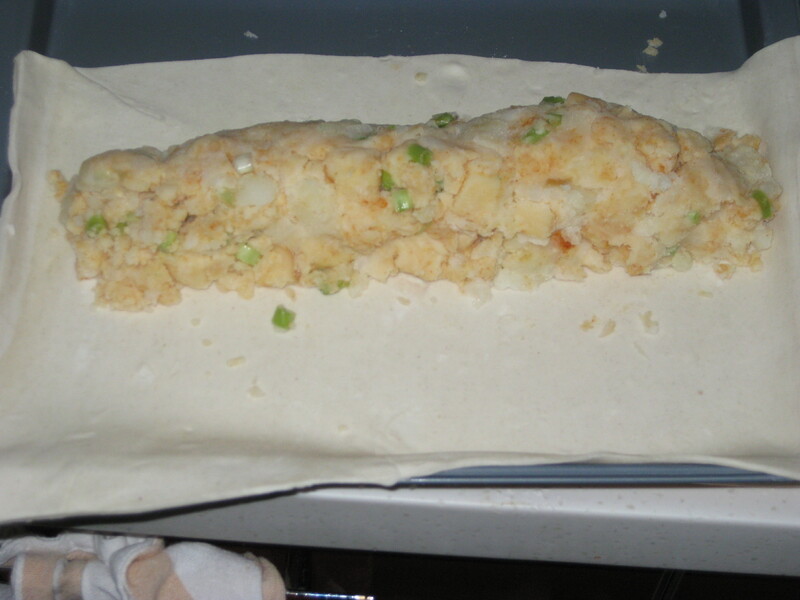 Roll out the pastry on a lightly floured surface to a rectangle about 25x35cm. 5. 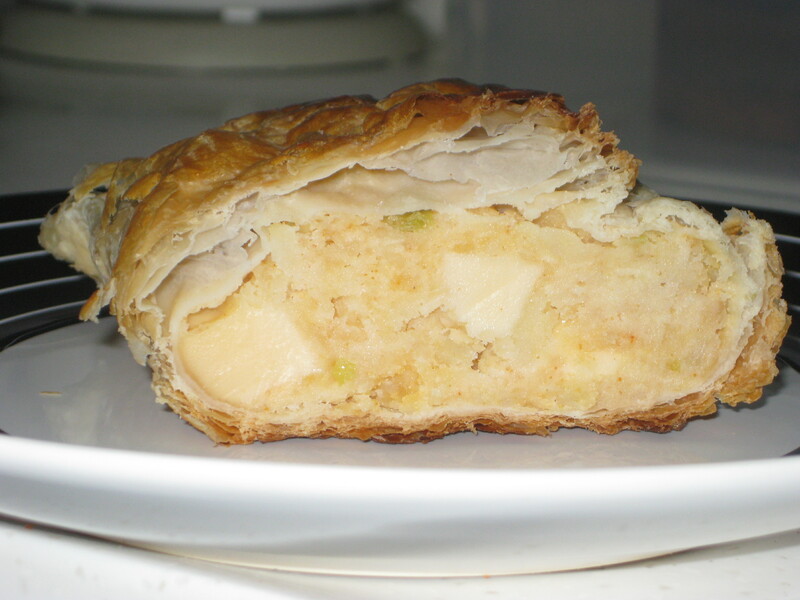 Brush all the edges with egg, fold the pastry over, tuck in the ends and press the edges with a fork to seal. 6. 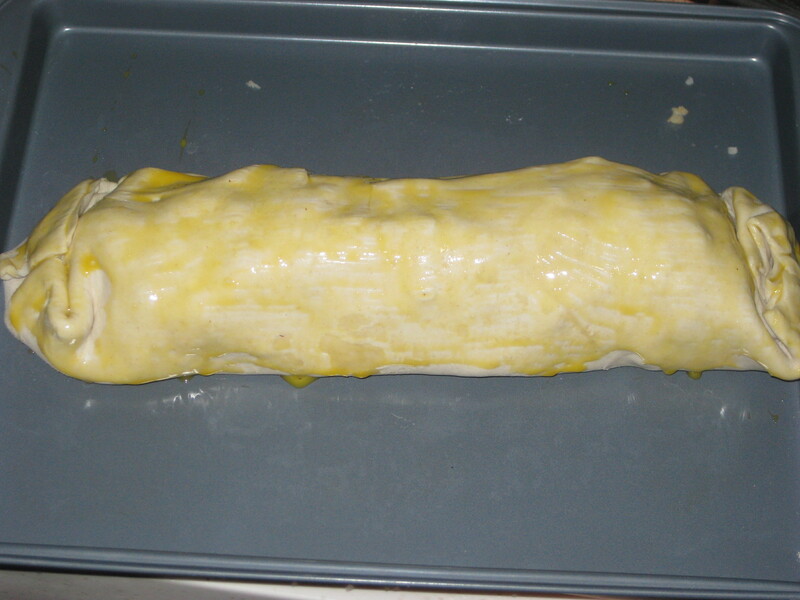 Brush all over with egg, then bake for 30 minutes. 7. Allow it to cool before serving. Best served at room temperature. 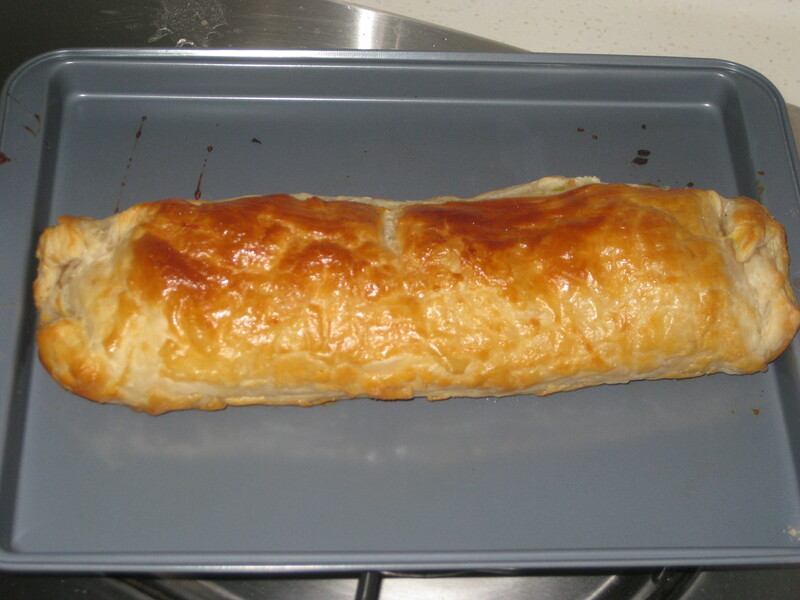 This entry was posted in Vegetarian Recipes and tagged big veggie sausage roll, cheese pastry roll, cheese pastry slice, gruyere spring onion slice, vegetarian buffet, vegetarian picnic. Bookmark the permalink. Ugh I hate dentists also! And I had similar teeth problems. Not fun. I’m glad to hear you’re feeling better though! This slice sounds delicious! 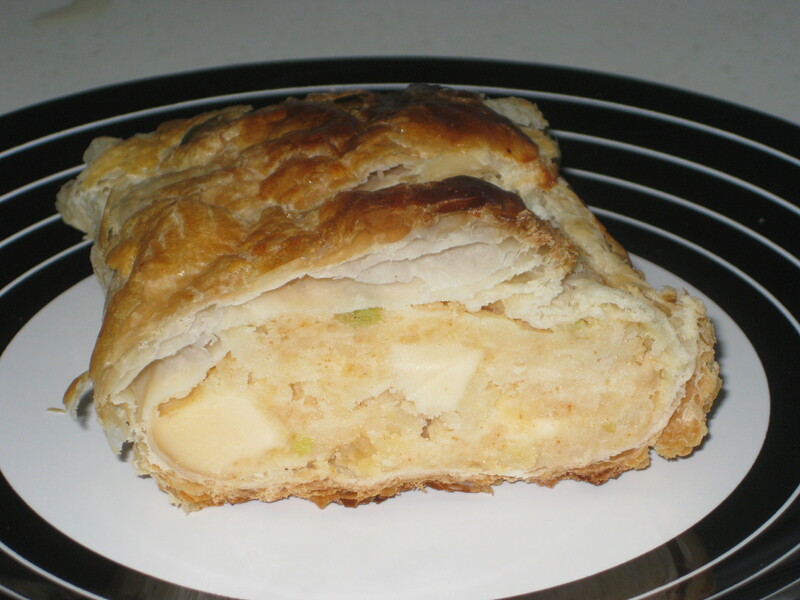 It is a good dish, nice for snacking on. I’ve done lots of cooking to boost my spirits after the trauma of the dentist! That looks delicious. I love gruyere! I dislike dentists though.